UPDATE: The next Homefront game will be made by Nottingham-based developer Crytek UK and will "benefit from the latest CryEngine technology", Crytek has told Eurogamer. Crytek UK, formerly known as Free Radical Design, created the multiplayer portion of Crysis 2. FRD was the developer of the TimeSplitters series, Second Sight, and Haze. ORIGINAL STORY: Crysis creator Crytek is working on a sequel to Homefront, publisher THQ has announced. "With Crytek's industry leading technology and legendary experience in the FPS genre, we're supremely confident that the next Homefront will deliver that AAA-quality experience that players demand," THQ boss Danny Bilson said. Homefront launched this year to commercial success, despite mixed reviews. Meanwhile, praise was heaped upon Crysis 2, notably the game's graphical prowess on PC. "We see Homefront as a really strong universe that has a lot of potential and that has been expertly created and marketed by THQ," said Crytek CEO Cevat Yerli. "We believe that bringing our level of quality, creativity and production values to the next Homefront title, creates an opportunity for both THQ and Crytek to deliver a truly blockbuster game. "It's really important to us that THQ has the faith in giving us a lot of creative freedom over one of its most important properties to allow us to bring the Homefront world to life in a new and innovative way." Crytek was rumoured to be creating TimeSplitters 4 for next-gen consoles using DirectX 11 as a visual benchmark. 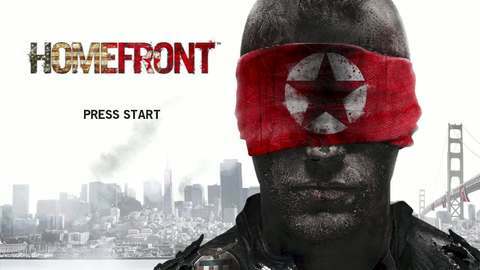 Will Homefront 2 be a next-gen launch title?